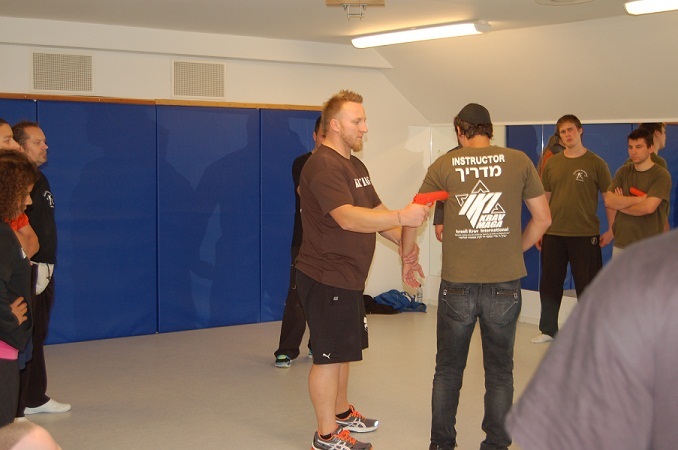 Close to 30 students and instructors of Krav Maga participated in a two day, 14 hour seminar in the little town of Frogner, not far from Oslo. Once again the event was hosted by Trimlaaven gym and our good man Ingar and his family. 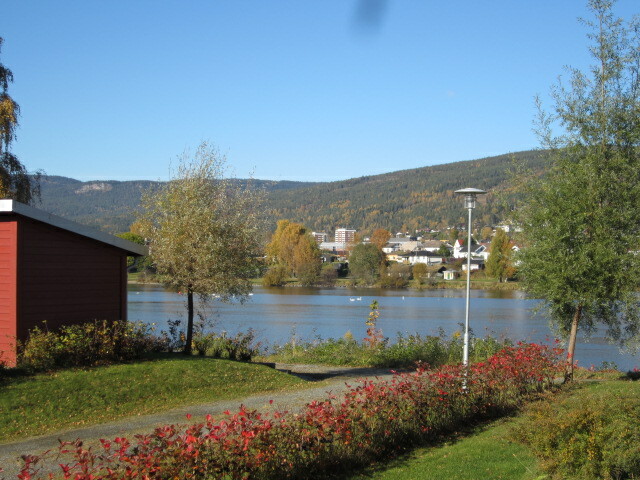 This time the training lasted a week with extra lessons preceding and following the seminar, for those who could attend. 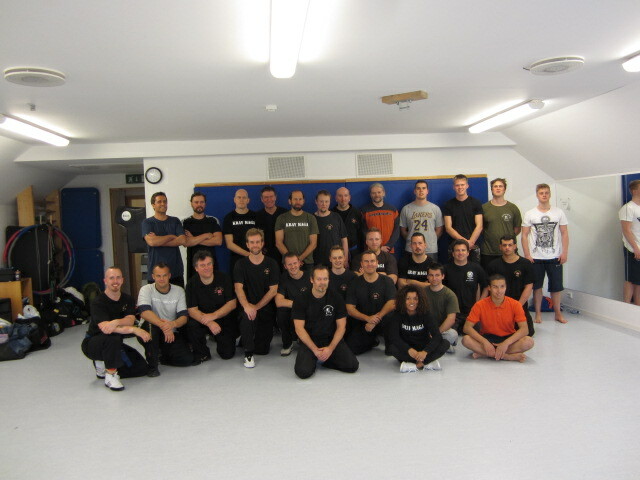 Head Instructor Morten Wang and his dedicated staff where there, training hard every day. 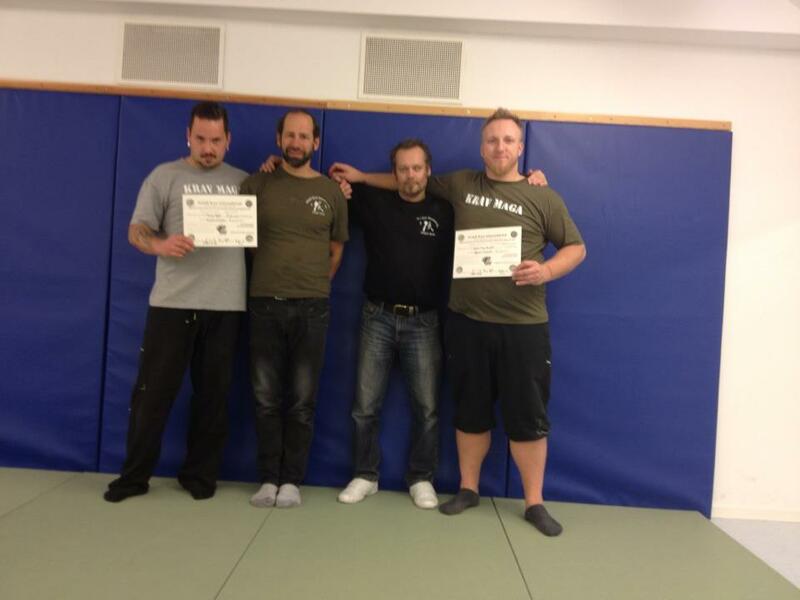 At the conclusion of the training I was pleased to promote three new instructors; Bjørn Tommy Bergstad, Jørgen Aaland and Thomas Opdal. 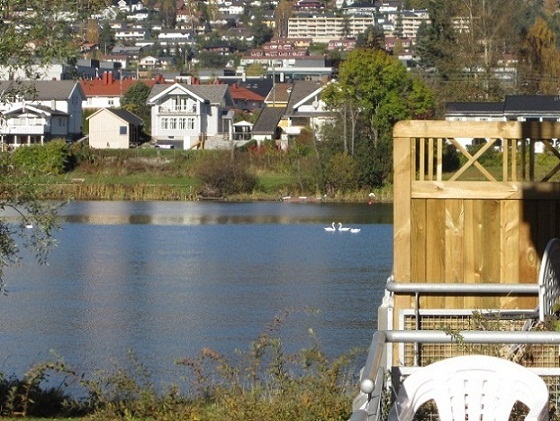 I am also pleased that our long time instructor from Fosnavåg, the west of Norway, Hugo Frøystad, was also with us, as well as IKI instructor Tom Barker from England. 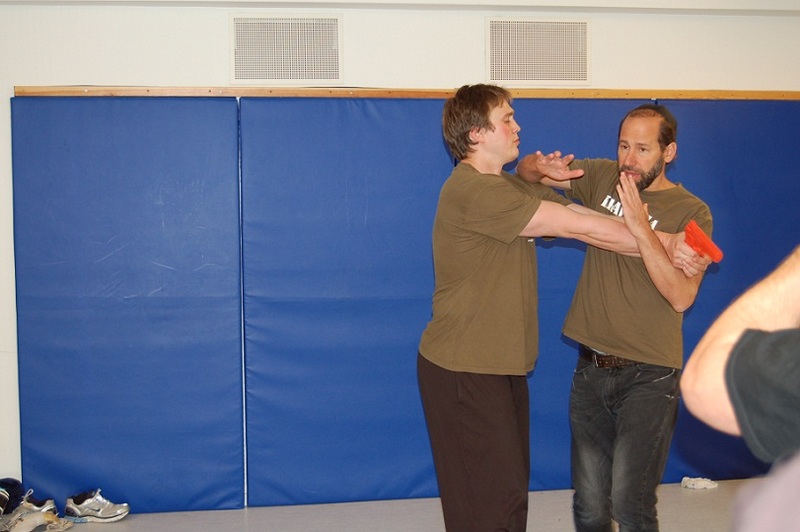 Training with Bjorn, IKI gun defense. 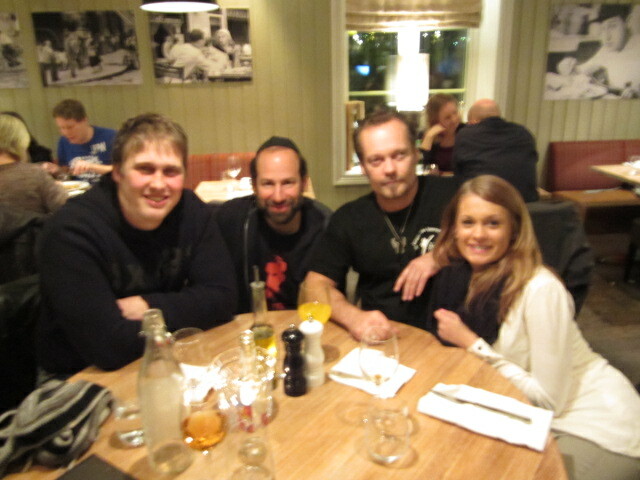 Celebrating Krav Mag success with Hugo, Moshe, Morten and Eva.